denitia & sene |x| Bowmont. |x| Dragons of Zynth at the Highline. One of our favorite up and coming acts, denitia & sene, will be performing at the Highline Ballroom on Wednesday night. Our staff has the minimal pop duo as one of 2014 artists to watch. 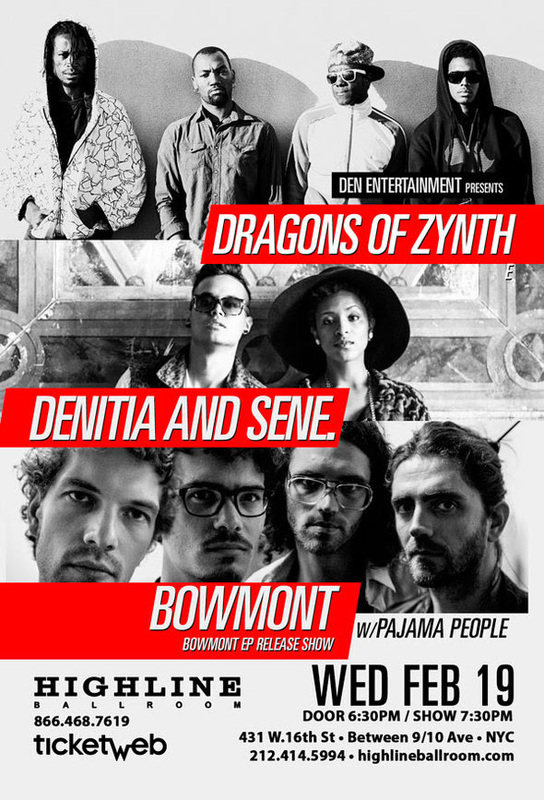 So, join denitia & sene, Bowmont & Dragons of Zynth for a special evening of performances at Highline Ballroom (431 w. 16th St) this coming Wednesday, February 19. Doors open at 6:30pm and the show begins at 7:30pm. denitia & sene perform at 8:30pm sharp.